Greetings to all University students, faculty, staff, and members of the public! I am yet another new staff member at the Weinberg Memorial Library (WML). My name is Neil Grimes and I was born and grew up in Wilkes-Barre which is a part of the Northeast PA region. You can find me working at the Reference desk on Sundays from 12pm-5pm and Monday evenings from 6pm-11:30pm. I began working at the WML back in March of this year. Everyone has been very welcoming and supportive! I can’t thank everyone enough for making me feel like the University of Scranton is almost like a second home. Each day that I spend on campus I find that I learn something different and something new from my co-workers, students, faculty, and members of the public. For my undergraduate education, I attended King’s College in Wilkes-Barre where I majored in history and secondary education. During my undergraduate years, I worked at UPS where I sorted, scanned, and loaded packages and mail that was being sent to places all over the United States. If you are curious as to how the whole shipping process works, feel free to ask me. Following my four years at King’s I went on to graduate school at Clarion University of Pennsylvania where I received my Master’s in Library Science. 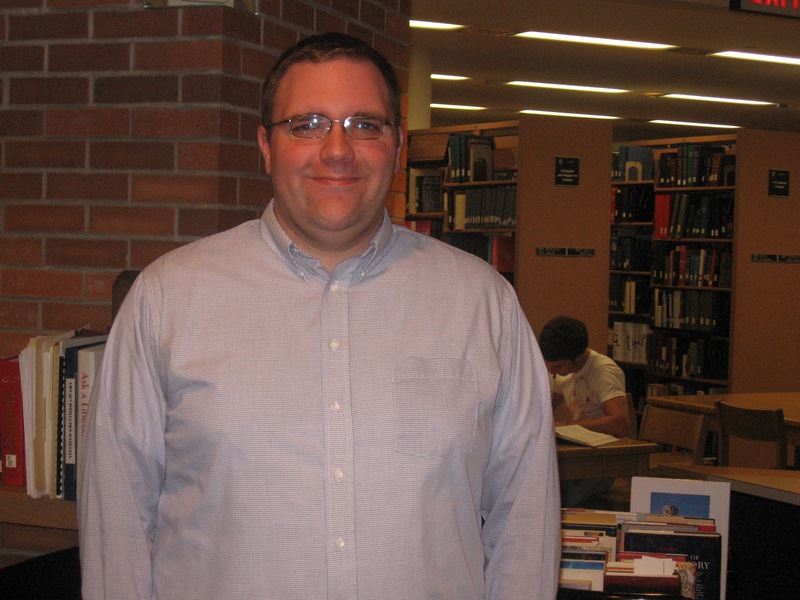 Following graduation, I began working as a high school librarian in the Wilkes-Barre area. Among the skills that I feel one needs to succeed in the 21st century are critical thinking skills, effective writing skills, public speaking skills, and research skills. These are all skills that I have sharpened over the years and that I use on a daily basis. Whether we realize it or not, people are constantly using their research skills when they seek to answer questions in their daily lives. Librarians are very helpful in instructing people as to the best way to research and answer questions, even the most difficult questions. You would be surprised as to how much you can learn from librarians! Don’t be afraid to ask for help as librarians are very good to pointing you to the information that you are looking for. I have been interested in reading and libraries as far back as I can remember. Among the first books that I ever read were by Dr. Seuss, as I am sure that these are among the first books that most children read. 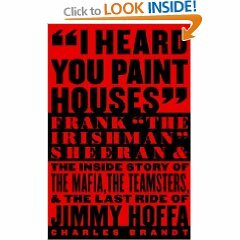 The most recent book that I finished was I Heard You Paint Houses by Charles Brandt, a true crime story that solves the case of Jimmy Hoffa’s disappearance once and for all. I won’t reveal any of the details, but I do highly recommend that you read the book. Recently, I read that Martin Scorsese is going to make this book into a movie starring Robert DeNiro. Outside of spending time in libraries , I love to travel and have been to Italy, Toronto, New York City, Philadelphia, Washington, DC, Tampa, Florida, and Lawrence, Kansas. This is not a comprehensive list of the places that I have been to, but it does hit many of the highlights. Every new place I travel to brings with it new memories as well as the opportunity for some great photographs. There are some great places to take photographs on campus, don’t be afraid to capture some memories when the chance presents itself. Why is 94% so great?